Begun in the year 2015, PECO Projects Pvt. Ltd. is a leading Service Provider exhibiting immense industrial experience with its presented qualitative range of Utility Piping Design Service, Piping Stress Analysis Service, Piping Fabrication Service and much more. We aim at establishing a strong reputation in the market by developing the rust-free highly constructive range of products with comprehensive benefits of excellent performance, sturdy construction, robust & longer service trust-free surface finish. Moreover, we are in the process of attaining a long-standing association with our clients by providing supreme quality after sales services to our valued clients. We endeavor to deliver noteworthy performance to varied industrial verticals such as Power process food, textile, rubber and plastic, pharmaceutical, beverage, paper and pulp, chemical, fertilizer and sugar etc. Our performance is supported by our manufacturing division that is powered by contemporary infrastructure and rationalized distribution network. Further, we ensure that every action of our team members endorses a standard of assurance to win strong reliance of our respected clients. 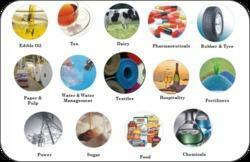 Under the supervision of our mentor Mr. C. Suresh, we are able to offer a range to our services. Clients select us because of the quality of our range and our ability to meet the demands of our clients in the best possible manner. We have reached an incredible position in an industry, by presenting superlative quality products at the economical price range. The custom-made facility is offered by us and we provide the products matching best with the clients’ demands.